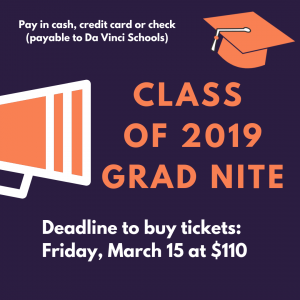 Get your senior swag! 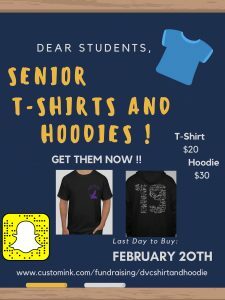 Hoodies and t-shirts for the Class of 2019 are on sale NOW. Go towww.customink.com/fundraising/dvcshirtandhoodie and buy your gear today. 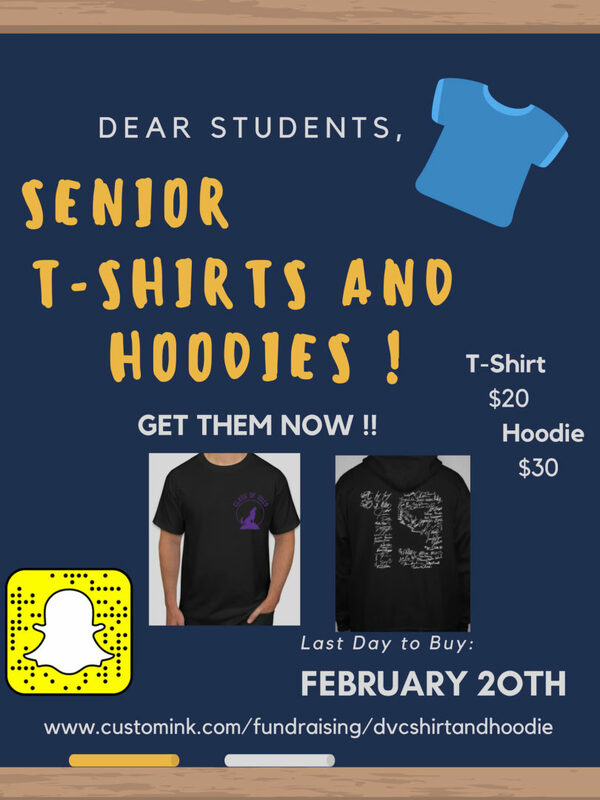 The last day to place an order is Friday, February 22nd. 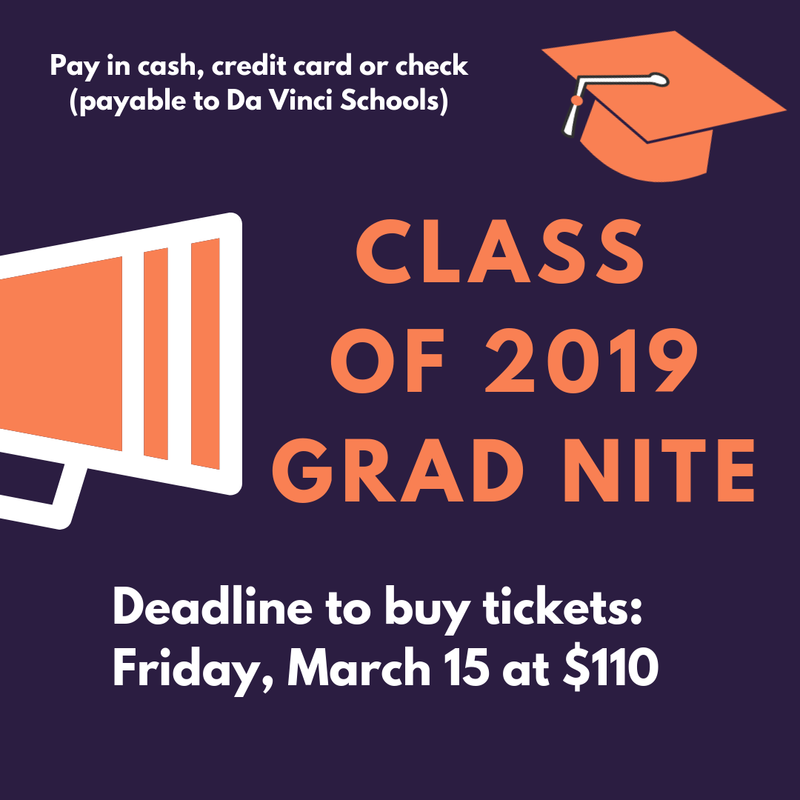 All proceeds will go to support Prom!